Storm Windows are extra windows which are mounted typically on the outside of the main glass windows of a home. Storm Windows can be made of glass, rigid plastic panels, or flexible plastic sheets. And Storm Windows can be permanently or temporarily mounted. 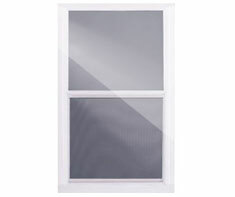 Storm windows create a barrier which traps air between the storm window and the regular house or building windows. While not as energy efficient as sealed double or triple pane windows, this trapped air barrier provides insulation for reducing heat loss. Also, the additional window creates an additional barrier against strong rain or wind. The purpose of Storm Windows is to improve the energy efficiency of the window areas of a home, and they also provide additional protection against damage to costly glass window panes during inclement weather. Shown in the 'Routine Care' section are the recommended routine maintenance tasks for your storm windows. The 'Q & A' section shows answers to common questions. And the 'Articles' section provides helpful articles about your storm windows.